hd00:23Float looming 100 dollars background. 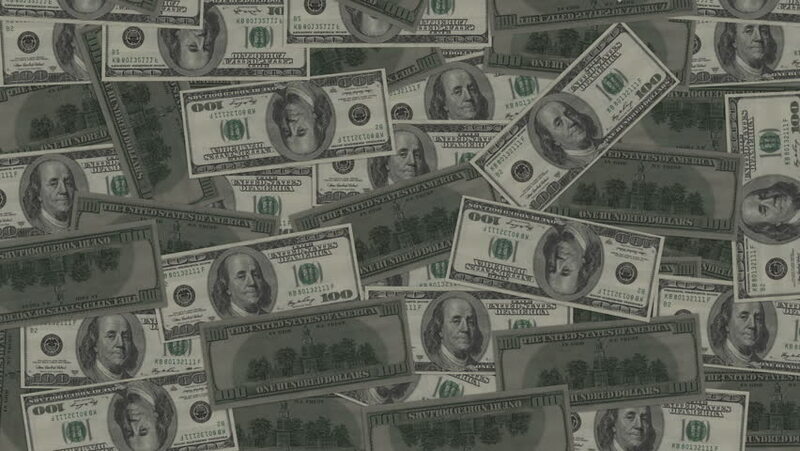 hd00:10Money shooting across the frame from left to right on a green grid background. Seamlessly loops. hd00:20Float looming 100 dollar & 100 RMB bills,exchange rate. hd00:32The coins of the USA falling for dollars. Slow motion. hd00:25Money cavern animation. Created with hundreds, fifties, twenties, tens and one dollar bills.